Developing a culture of honest open communication that builds trust “player to player”, and “player to coach” can be a very difficult part of any team’s culture. 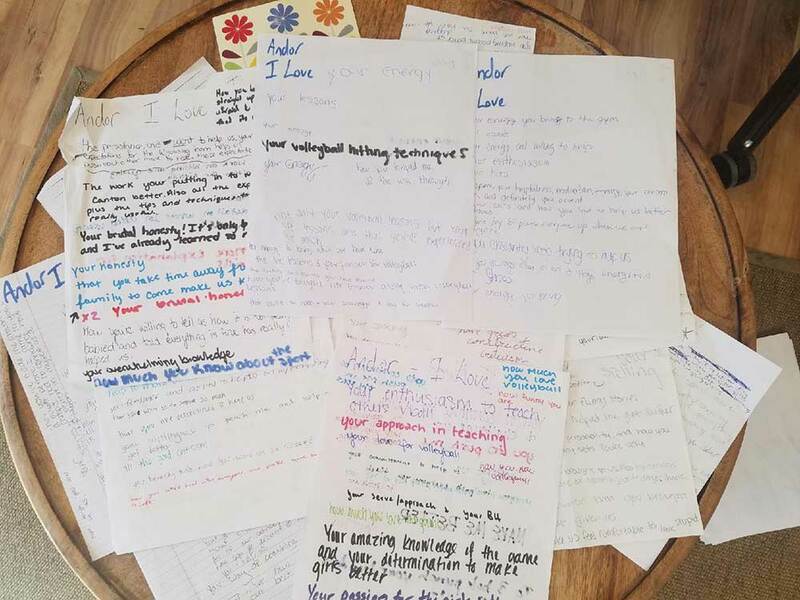 “I Love, I Need!” is an easy to run, fun exercise, we teach at all our Volleyball1on1 Camps that addresses all these challenges and reinforces your team culture while helping improve a player’s character in positive ways. The exercise is best run toward the end of a hard day of practice or after the team has successfully accomplished a goal / challenge together and already spent time building trust and getting to know one another. We normally run this exercise towards the end of day-2 or day-3 of camp week depending on the group and schedule. 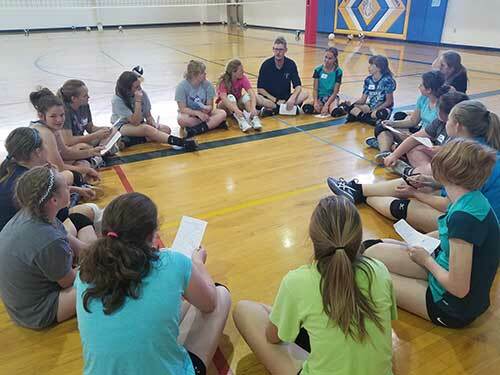 Post a Volleyball1on1 camp experience most teams work with this powerful tool at least monthly as a “team-building activity” to air problems and re-enforce team culture. The players then sit in a circle and each player writes a sentence or so about the other person on each side of the paper. – I love the way you push me to be a better player and how you are so positive in the back-row. – I love your smile and how positive you are. – I love your passing. – I love your sets and your jump float serve. – I need you to be more talkative in the back-row. – I need you to work on your jump serve and be more consistent. – I need you to be more positive in your communication. 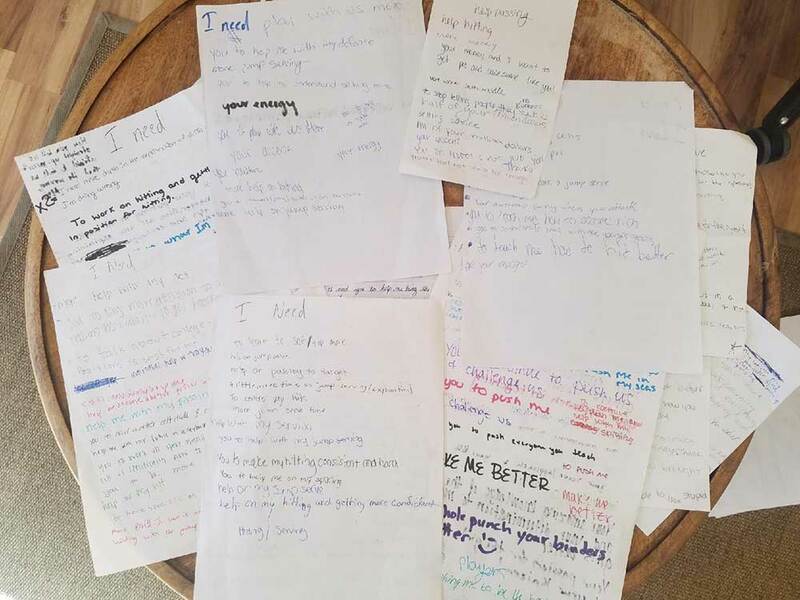 After each player has written on every other player’s piece of paper the players sit in a circle with the coaching staff and read their piece of paper, “I Love!” first & “I Need!” second. We encourage the coach and coaching staff to go first reading their sheet and always start with the “I Love” side followed by the reading of the “I Need!” side. We like the team leaders in the leadership council to go next but this is not a must. Players also build trust with one another as they learn to be vulnerable with the points shared on their piece of papers. Keep in mind most players will be pretty diplomatic. This demographic is accustomed to writing about one another because of their use of social media. “I Love! I Need!” is a powerful way to help players build self-esteem by matching their self-concept with their self-ideal. The coaching staff and the team identify areas “They Love” about each player through the exercise. This reinforces positive aspects of how that player views themselves. In my experience reinforced and identified attributes discovered through the “I Love!” exercise tends to grow as the player or coaching staff member is acknowledged for that attribute. Research has shown repeatedly that your team culture is one of the largest determinants for success. See the 60-30-10 Rule for more details. Therefore, it is critical as a coach that we run team building exercises that reinforce our team culture and the “I Love, I Need!” team building exercise accomplishes this and much more! 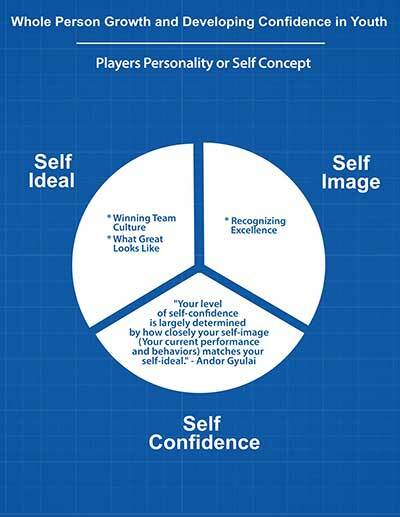 Above are important points we review that relate to our Volleyball1on1 Winning Team Culture. These ideas are constantly reviewed and reinforced! They act as the compass on how players and staff behave on and off the volleyball court. I have included below “I Love, I Need!” exercise forms players wrote about me at past Volleyball1on1 Camps. 2) Your energy! : As a coach we must bring energy! 3) Your life lessons! : On of the best way to build trust is to help players develop as people. Developing Athletes and, More Importantly, Developing People! What I like about the second part of the exercise, the “I Need!” sheet helps give a voice to your players if they are not happy. As a coach I love the saying: “A loud crew never mutinies!”. I want my players telling me when they are not happy. I am a big believer in “Kaizen!” as reflected in our Volleyball1on1 coaching philosophy. This gives your staff an opportunity to reflect on how can we do it better or at least address challenges players may be having. We offer help these powerful success tools through our Volleyball1on1 Summer High School Camps, Coaches Clinics, and Online Instruction. Contact me if you would like to learn more about working with us!